At the beginning of 2017, bezel-less display was a fad that most manufacturers were aspiring for, by the end of the year, it has become a hot trend. Today, the dynamics of smartphone engineering seem to revolve around losing bezels around the screens. From flagship smartphones to budget offerings, more and more handsets are being rolled out with fuller screens and minimal bezel encasing them. Looking at the rapid pace at which this trend is catching on, it won’t be an exaggeration to claim that by end of this year at least one in five smartphones will sport a frameless design. 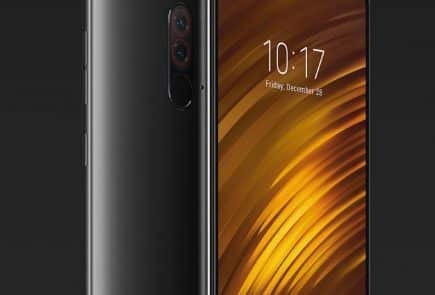 While leading market players focus on bringing this design element to high-end flagship devices, a slew of Chinese manufacturers is taking the budget smartphone segment by a storm with their range of smartphones with promising specs at an economical price point. 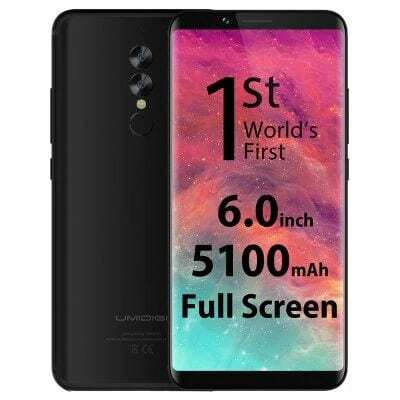 One such company is Umidigi that has been steadily building a stronghold over the budget sector with its influx of affordable smartphones with an attractive design and a premium appeal. The latest example of the Chinese maker’s commitment to creating impressive looking phones is its S2 smartphone, which has earned itself a reputation of being a ‘mid-range Galaxy S8’ and for good reason. The S2 bears such a striking resemblance to the Galaxy S8 that it won’t be wrong to call it a clone of Samsung’s flagship device. 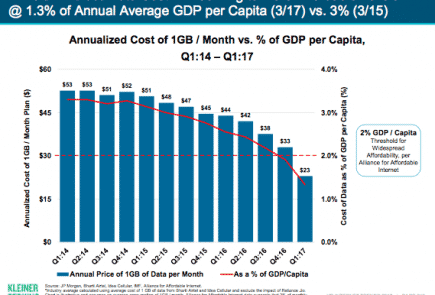 The difference lies in the price points of the two devices – while the Galaxy S8 is priced at nearly $750, the S2 was released with a $230 price tag (and is currently available on Gearbest at a special price of $189.99). Of course, this enormous price difference also translates into some differences in specifications too. The most notable of these is the eight-core Helio P20 Mediatek processor powering up the Umidigi S2, as opposed to the dynamic Qualcomm Snapdragon 835 in the Galaxy S8. If you cut out the comparisons with the Galaxy S8, the Umidigi S2 has the potential to hold its own both in terms of looks and performance. 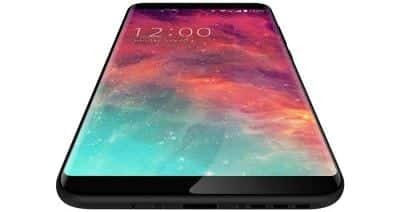 You get a sizeable 4GB RAM, 5,100 mAh battery, massive 6-inch display, a sharp LCD panel with 1440×720 display resolution. All in all, these are respectable specs that make the Umidigi S2 a device you can look forward to. a USB Type-C to 3.5 mm jack converter. Its design is the most striking thing about the Umidigi S2. It sports a uni-body aluminum frame with elegant curves at the right places. The front of the smartphone looks appealing with a 1:9 body and screen ratio. All in all, the S2 is a sleek device measuring 15.81×7.46×0.88 cm and weighing nearly 186 grams. On the back panel, you get a multi-functional fingerprint scanner that can unlock the device in under a second. Another interesting design element here is the replacement of a 3.5mm headphone jack with a USB Type-C port, which explains the inclusion of a converter cable in the package. You get two SIM slots, one of which also doubles as a TF card slot, on the side. The display of the Umidigi S2 is another captivating factor about this phone. 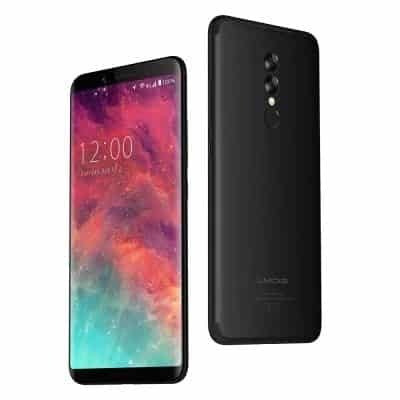 It comes with a 5.99-inch screen, thanks to the bezel-less display, and accords a display resolution of 1440×720 pixels, 18:9 aspect ratio, and a pixel density of 368 PPI. The 2.5D curved glass screen on the S2 comes with a protective Corning Gorilla Glass 4 layering. 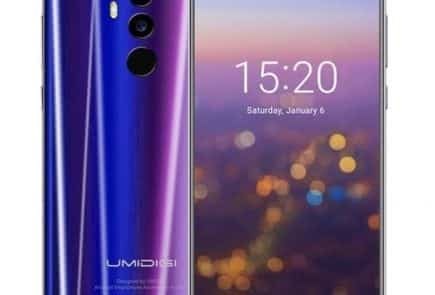 One unique feature about the device’s display is that it offers a 6-inch display with the measurements of a standard 5.5-inch phone, which speaks volumes about its body-to-screen ratio, and how well, Umidigi has managed to ace the bezel-less design. As mentioned before, the S2 phablet is powered by an eight-core Helio P20 Mediatek Chip that is capable of clocking a frequency of 2.3 GHz, making it ideal for heavy usage with optimal battery consumption. In addition to this, you get 4GB RAM and 64 GB of internal storage, which is expandable up to 256 GB with the help of an external memory card. So, memory space is the one thing that you don’t need to worry about with the S2. You also get a Mali T880MP GPU, which is great news for gaming fans, as the device has the ability to support heavy-duty games. The phone comes pre-installed with the Android 7.1.1 Nougat with a provision to upgrade to the latest version of the operating system, which is the Android 8.0 Oreo for now. In addition to this, you also get a layer of the in-house UMI GUI OS. In terms of connectivity, the S2 comes loaded support for all current options that include WiFi, GPS, and Bluetooth 4.0. The inclusion of Type-C USB port is a smart move on part of Umidigi, as it places the phone on par with most of the in-vogue present-day devices. As is the case with most Chinese manufacturers, Umidigi has followed the same-old approach of hybrid SIM slots, which means you can either use two Nano SIMs on this device or one SIM and a TF card. In that sense, it limits the functionality for those who’d like their handset to support SIM card and an external memory card at the same time. On the bright side, the 64GB internal storage is always more than enough for the average user. The Umidigi S2 is available in three color variants – Black, Red, and Silver. The S2 sports a 13 MP dual camera on the rear that is fitted with the IMX258 sensor by Sony. The use of a trusted and reliable Sony Exmor RS sensor translates into impressive image quality. You get clarity of 1080p and frame rate of 20 fps with Umidigi S2 primary camera. The dual LED flashlight has been strategically placed to facilitate good image quality in low light conditions, without the natural aesthetics of the frame being affected by a sudden flooding of light. On the front, you get a 5MP camera with an f2.0 aperture for clear and captivating selfies. Besides being used for selfies and video calls, the front camera can also record 4K videos and boasts of PDAF focus. The battery of the S2 deserves a separate mention, as it is clearly one of the winning features of this phone. The phone has a 5,100mAH battery under its hood and comes with fast charging support. As per Umidigi’s claims, the S2 can make it through 2 days of use on a single charge. Even if that claim is idealistic, running out of juice on your device is never going to be a concern with the S2. With continued heavy usage, which includes playing games, watching videos and running several apps at the same time, the S2 can easily give 9 hours of run time on a single full charge. The fact that you don’t have to wait forever to get the enormous 5,100mAh battery tanked up is definitely a big plus. The Umidigi S2 is a fine piece of engineering that checks all boxes in terms of design, hardware, specifications, and performance. Not only does it resemble the premium Galaxy S8 in looks but has also got enough power under its hood to deliver a performance comparable to Samsung’s flagship device. Be it gaming, watching videos, installing multiple apps, storing music, photos, videos and other data files, taking high-quality videos, recording videos in 4K, running multiple apps in the background, the S2 has all the elements to support your everyday smartphone needs and then some. Of course, you have got to be prepared for a few comprises too, such as the mid-range Helio P20 Mediatek processor or inclusion of Hybrid SIM slots. Even despite these concessions, the Umidigi S2 is a freaking steal at its current price point of $189.99. If you are looking for a budget phone that looks and works like a premium device, look no further.